Last fall, we had the chance to speak with Powell Artist Jean Ferrandis, who at the time was in his second year on faculty at California State University, Fullerton. 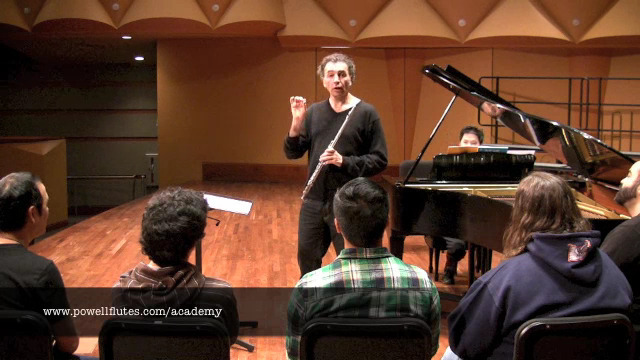 If you didn't have a chance to see our this post, it's here on the Teach Flute blog archive at http://www.teachflute.com/2012/09/professor-jean-ferrandis.html. Now in his third year at Cal State, he enjoys a a balance of teaching and performing both in the U.S. and around the world. For more information on Jean Ferrandis, visit his Powell artist profile page at https://www.powellflutes.com/academy/masters/jean-ferrandis and his personal website at http://jean.ferrandis.free.fr/.